Any delivery that is made to a tank that is out of propane will be required to have a leak check performed on the entire propane system. The propane system must pass the leak check before it will be returned to service. If the system fails the leak check it will be disabled and not put back into service until repairs are made. 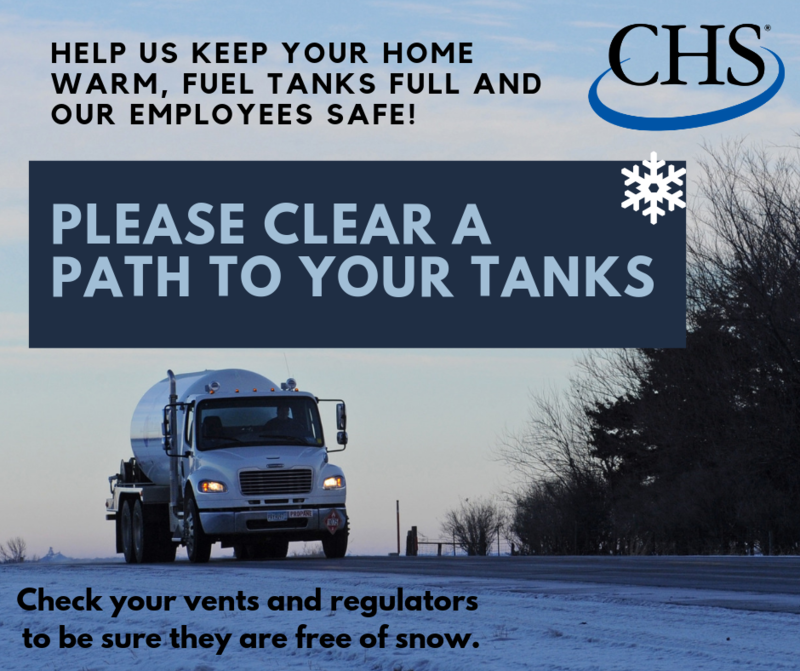 In the event that you run out of propane a CHS employee will need access to your house to perform the leak test. You may be required to be home for this test to be performed. Please leave a contact phone number so that one of our employees can get a hold of you if necessary.